No Capital Gains Tax is payable on disposal of shares after three years, or three years after commencement of trade, if later, provided the EIS initial income tax relief was given and not withdrawn on those shares. So for example, if you had a gain of £10m, you could invest that in a basket of EIS and defer the entire gain. 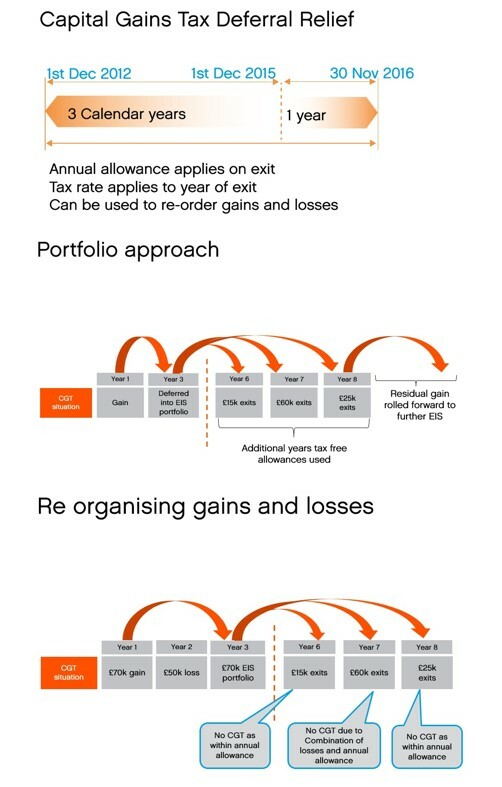 The gain will be treated as being realised in the year in which you exit the EIS. Worried about exiting EIS & IHT?